Piaggio does not get it. So, Piaggio announced more details on the Vespa Elettrica yesterday, and crushed my hopes for it being anything interesting. 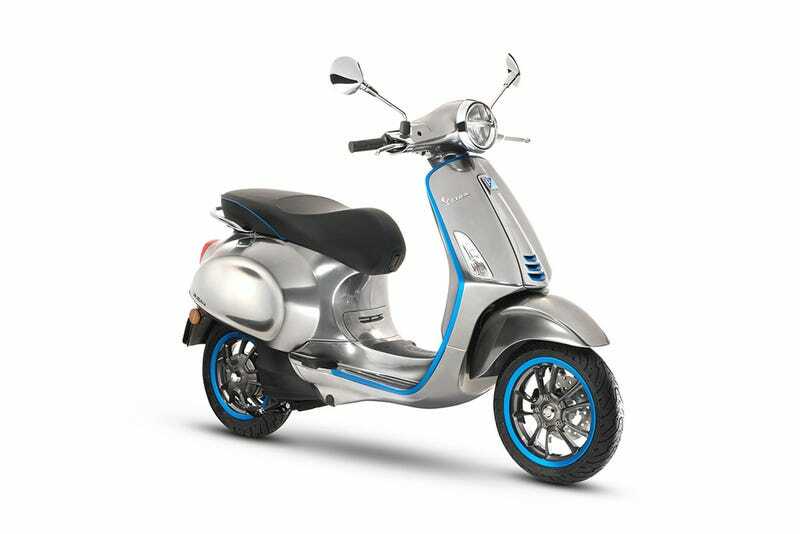 It’s rated for 2 kW continuous, 4 kW intermittent, meaning it’s playing in the moped class (and I’d guess will likely end up limited to 45 km/h) - so I’m not interested. That’s not where I think they don’t get it, though - there’s plenty of market for that level of performance. Where I think they don’t get it is that... charging involves plugging the scooter in, and they’ve got a range extended model. This is a scooter. It’s for urban environments. With apartment dwellers. Where exactly do they expect you to plug it in - who wants to spend 4 hours at a public charger every 100 km? (OK, you could partially charge more often instead. But, still.) Battery swapping is, IMO, the way to go for scooters, at least up to the 150 cc class if nothing else - the batteries can be small and light enough for the rider to carry them into their apartment to charge, or you can implement a Gogoro-style swap network. Honda seems to get it, as I’ve mentioned before, although it sounds like the PCX Electric may well be moped class - Honda’s Japanese site claims 0.98 kW rated power (AFAIK that’s continuous, so intermittent will be quite a bit higher). Also, a range extender... on something moped-class? If it had removable batteries, 100 km range would be more than enough for most riders, and for delivery applications and the like that need more, swapping to fully charged batteries would be an option - so this is fundamentally not getting it. While I think hybrids can make sense for longer distance riding (starting in the 125/150 cc class), in the 50 cc class, it’s not like you’re going to ride long distance trips that would need the range extender.